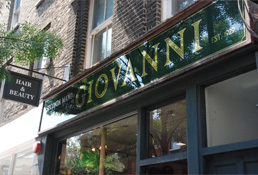 Giovanni’s is the first choice for quality ladies and mens hairdressers in Islington, London. We offer a great personalised service in a relaxed and sophisticated environment. We are a family run hairdressers and beauty salon situated in the heart of Islington on Upper Street. Established in 1920, our friendly business has spanned across three generations of the Napolitano family. 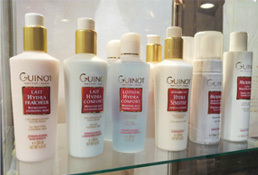 Our beauty salon specialises in Guinot facials, waxing, massages, manicures, pedicures, eyebrow shape and tints. Situated in the basement of the salon, it is the ideal place for a relaxing experience at the hands of our friendly beautician. 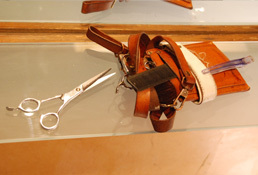 Our stylists are trained in top London salons, and have a large and loyal client base. Our experienced team all specialise in bridal, evening and day styling, cutting and colouring, and children’s haircuts. We also offer expert Japanese hair straightening methods and are adept are experienced in styling and cutting curly hair. We are based in the heart of Upper Street, Islington, London N1. The nearest tube stations are Angel and Highbury & Islington.